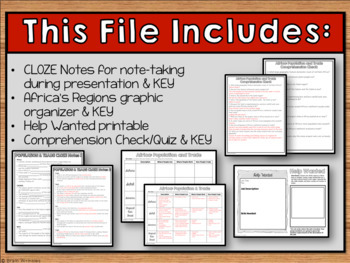 Africa Unit BUNDLE - Geography, Environmental Issues, Ethnic Groups, etc. 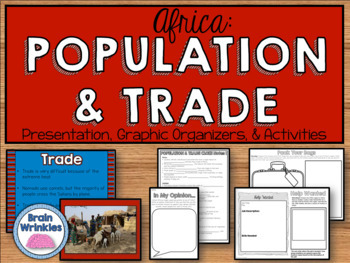 This file is a resource pack that explains the impact of location, climate, and physical characteristics on population distribution in Africa (as outlined by the Georgia Standard of Excellence -- SS7G3). 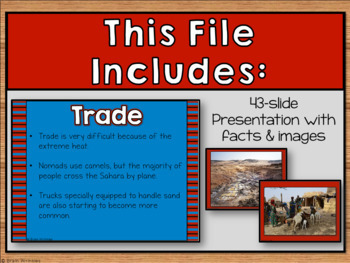 There is a presentation that includes important facts and images about how the characteristics in the Sahara, Sahel, savanna, and tropical rain forest impact trade and affect where people live. 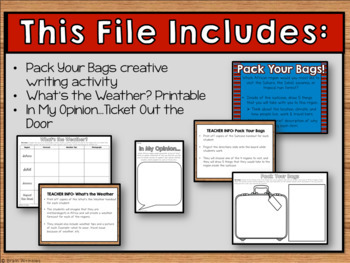 There are also many useful graphic organizers and creative activities included in this file! You can choose to do them all, or pick the ones that best meet your students’ needs. *This file is aligned to the Georgia Standards of Excellence for 7th grade Social Studies.